Good graphics and in line with the other strategists. A little more innovation would not hurt. 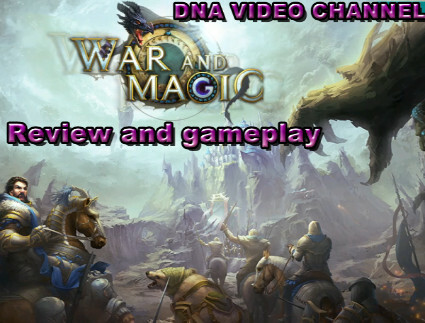 Welcome back friends, after a few weeks of absence, we are again, with review of War and Magic, another nice strategy game to the Heroes of Might and Magic. 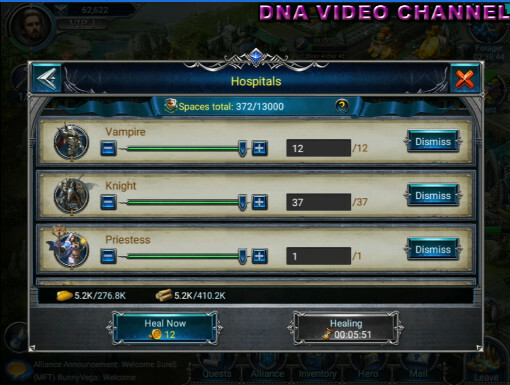 Before the holidays we left with Art of Conquest, a strategic like HOMM. You may therefore think that I am a little attached to this kind of games and maybe you would be right (at this moment I am in my stage of love for “build and conquer”). However, War and Magic than Art of Conquest, although both remember, some more, some less, Heroes of Might and Magic, are among them two very different games and i have to say that War and Magic is much closer to HOMM compared to its antagonist, thanks to the choice of the use turns on tactical battles. The heart of your empire is represented by your fortress town. Nowadays, there are always more often strategic in which we find ourselves to manage the city like those in the figure. War and Magic is no exception and does not choose to take alternative routes, choosing perhaps something more innovative. therefore We will find the classical construction of buildings with increasing time based on the level of the same, with the possibility of being able to jump the waiting time, if this is less than five minutes. This results in an immediate construction, at least for initial levels, as the times are less than five minutes. Precisely for this reason, at the beginning, you do not need to pay much attention to what is being built, because there is an excellent tutorial in War and Magic that explains the dynamics of the game and in a way binds you in making choices. After the initial phase of the game, however, you have to be very careful about the choices to make. Each building may take several hours to build, and an inadequate choice could greatly reduce your progress. 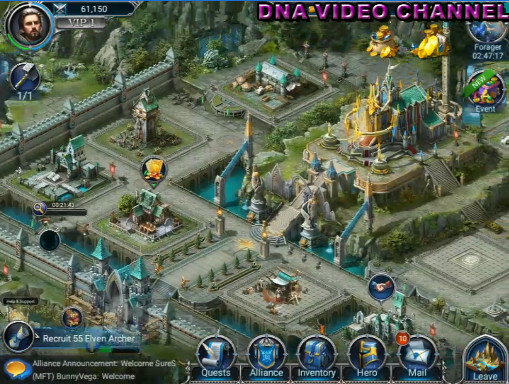 Here is the first look of War and Magic that remembers Ubisoft HOMM games. 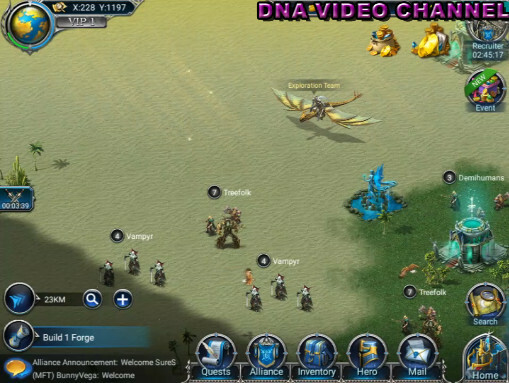 You must move your heroes on the map in search of resources, NPC monsters and bonuses buildings. Of particular importance are npc monsters, as it is the only way to bring our heroes into experience (if we exclude classic objects to provide experience to the hero). 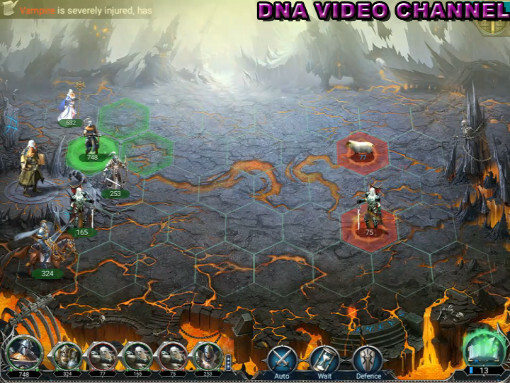 Monsters are shown on the map with a numeral indicating the level. When we face them and overcome the clash, we can then choose to make automatic battles for all monsters of the same level or less than the maximum level of defeated monsters. This allows us to save time in unattractive clashes, however, being a calculated battle, there may be more casualties than manual gaming, so think about it well. If you choose to personally command the army and to face the battle, you’ll handle the moves of each your group. This approach to battle is identical to Heroes of Might and Magic. In turn you will have to choose which enemy to face, remembering that the latter could react and fight back. So unless you own a team, so powerful as to overwhelm the enemy, try as much as possible to use ranged attacks to reduce the opponent’s offensive capability and attach only when you are certain of victory or you can not help it. This will definitely make you lose less units during the clashes. However, if the clash did not go well, there may be losses and injuries. In the first case we will be forced to train other troops, in the second case we will be able to cure them in the infirmary. The time it takes to heal your troops will depend both on the level of those that by their number. You can ask your allies to help you reduce waiting times. Even this is now a standard and War and Magic does not stand out from the crowd. In War and Magic, heroes play a central role. Armies can be sent around the map just under the command of a hero. Each hero has a limited number of stars, representing the kind of troops that can be carried with it. The higher the level of a troop, the greater its number of stars. You will understand that you must carefully choose which troops to use in battle, especially with this limitation. In addition to this, the heroes can be used in battle and their skills can also turn the tide of a battle. 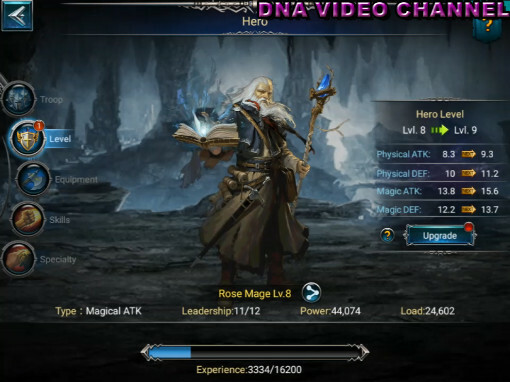 At the beginning of the game you can use a single hero, but with the passing of levels, other heroes with different characteristics will be unlocked. In this case too, the choice made in the game is very similar to the good old Heroes of Might and Magic, where the heroes played a crucial role. War and Magic is certainly a good game. Graphics and gameplay are in keeping with times, perhaps too much, as it may suggest something that has already been seen. Tactical battles give that extra touch to the game, especially to those who love the HOMM series (like me). and to try it, it does not cost anything because, unless you want to buy packages in the game, War and Magic is free. If the article has been useful to you or you like it, share and subscribe to my pages and on my youtube channel. Enrolling you does not cost anything, but for me it is the motivation to keep the blog alive.